Sometimes I am ashamed of my profession. New Zealand’s Herald on Sunday broke a story a few weeks ago that KFC had introduced a new policy that required all staff to be able to perform all duties. As a result, some 17 disabled workers had all lost jobs in the subsequent restructuring. Many of these people had worked for the company for fifteen years or more. 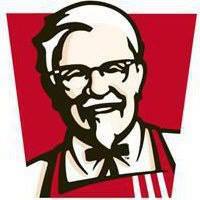 Now, following a public outcry and a campaign that has involved unions, disability support groups and Labour and Green MPs, KFC (or Restaurant Brands) have done an about turn and decided to re-employ the disabled workers who have lost jobs. I learned very early in my career that if you get something wrong in HR, you put it right very quickly and credit to Restaurant Brands for doing that even though it has only come as a result of a public backlash and amid calls for a public boycott. The damage to their brand may already be irreparable. Therefore you have to ask who in their right mind ever thought this would be a “good” policy to introduce in the first place? If it was a cost saving, what would a company of this size save for 17 staff who are probably all paid on or around the minimum wage? Did it not occur to the company through the various PG’s, mediation and confidential settlements that they were arguably discriminating and that this had been a bad idea? One is left with the realisation that HR (or People and Performance as KFC/Restaurant Brands have it) probably let both their company and their people down very badly, not just in either formulating and or introducing the policy without thinking of or ignoring the discrimination and legal aspects, but also in refusing to comment publicly when questioned about its validity. There are a million and one other things I could write about my feelings around all of this and the state of the HR profession but I’ll save those for another day. Right now, I’m just ashamed.